House of ZETA is a talent management agency for upcoming talented acts. THE LOOK is a scouting exercise to find those talents, sign them up with the agency and provide them with proper guidance and growth in their careers. 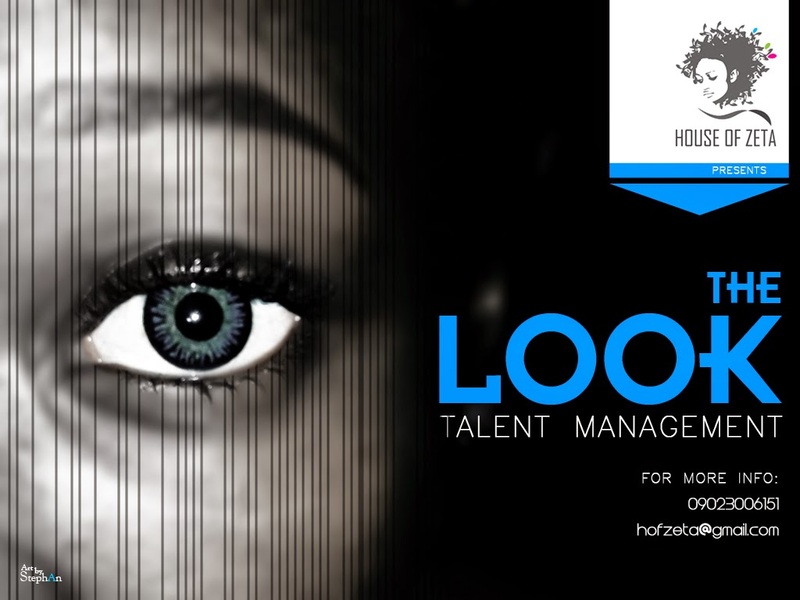 To register with H.O.Z contact 09023006151 or mail your profile, demo, portfolio or statistics to hofzeta@gmail.com!Get with the programme for proper representation in your career. Tell a friend to tell a friend and spread the word.